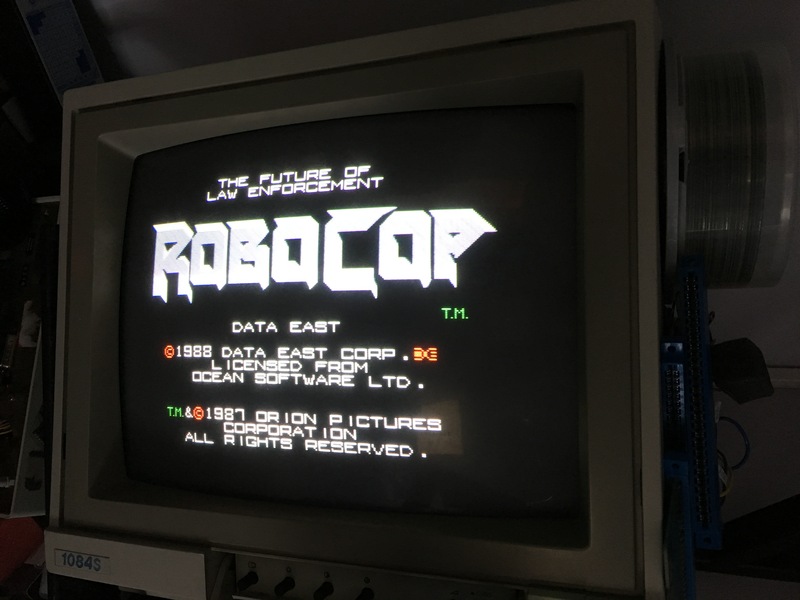 I got this Data East Robocop pcb from a friend that was totally dead. 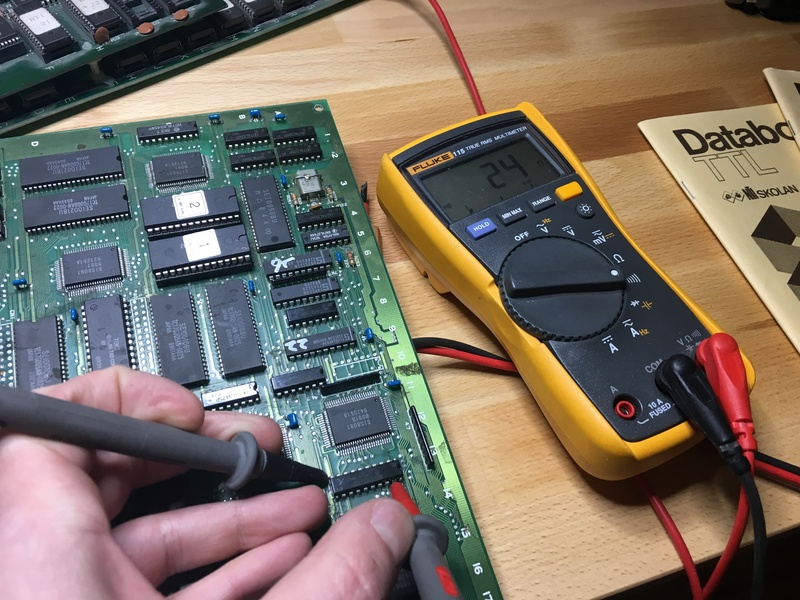 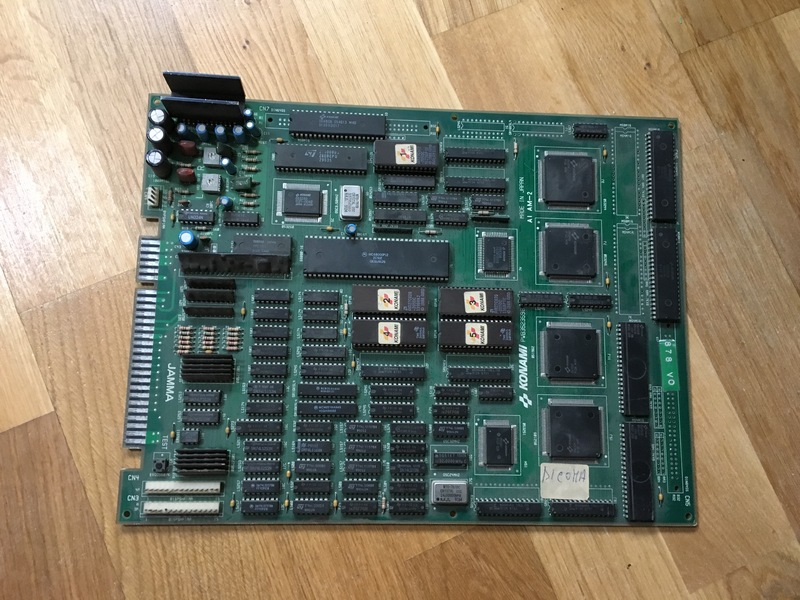 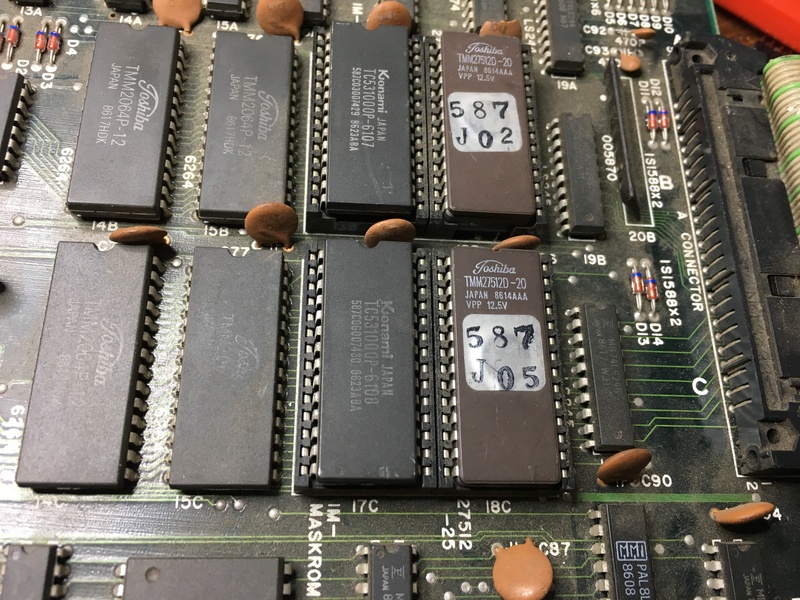 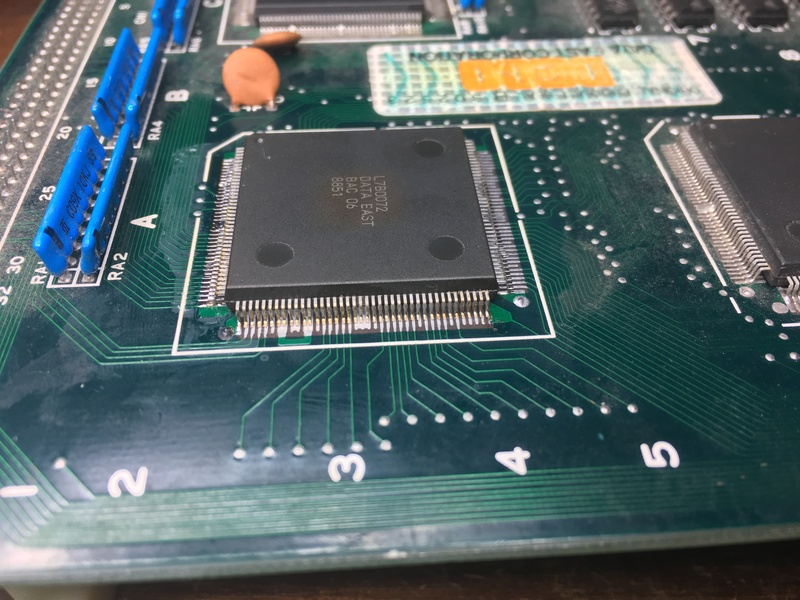 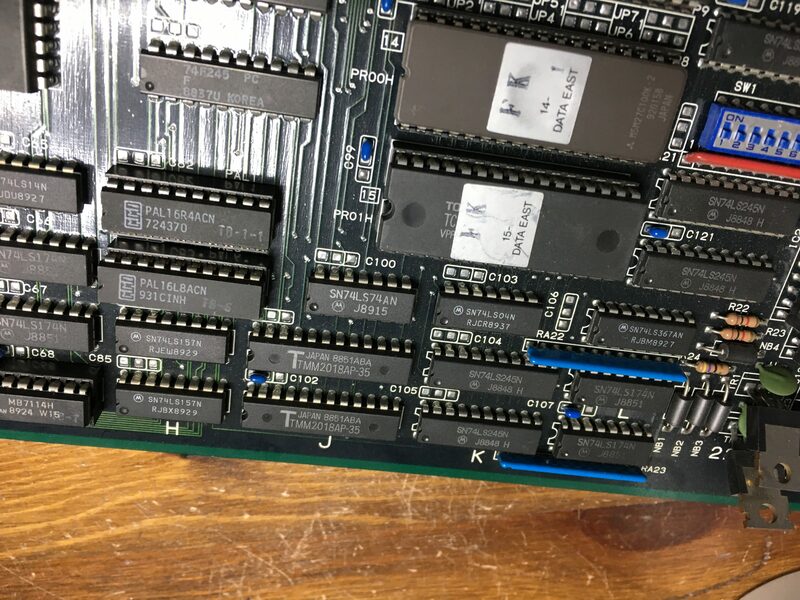 I had more Data East pcb’s around so I could test the bottom ROM board with one of those CPU boards and it was also not working. 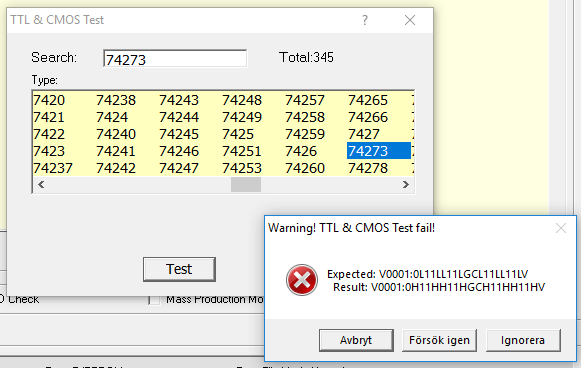 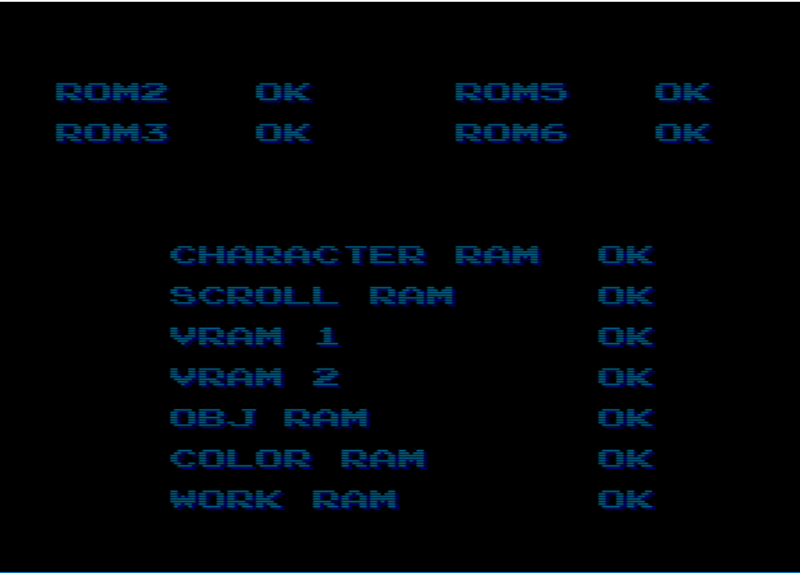 So I started pushing the EPROMs in their sockets and after that the game booted up. 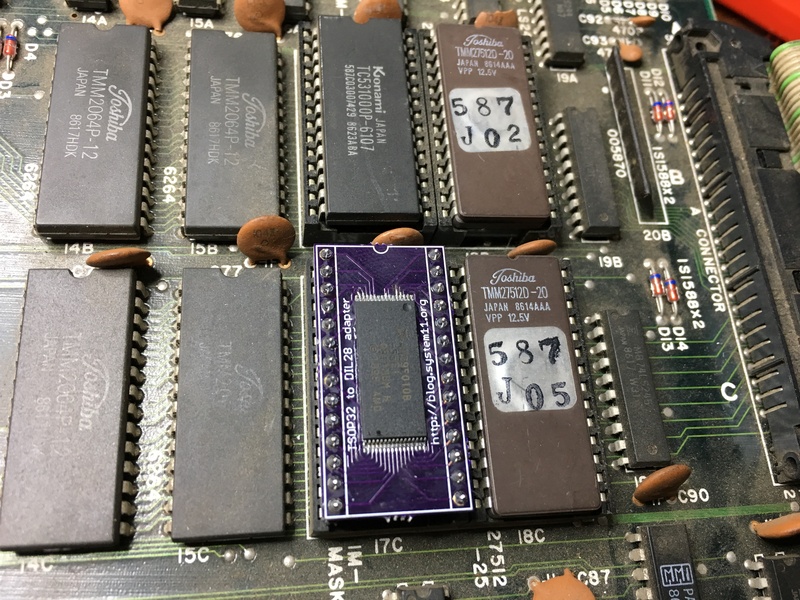 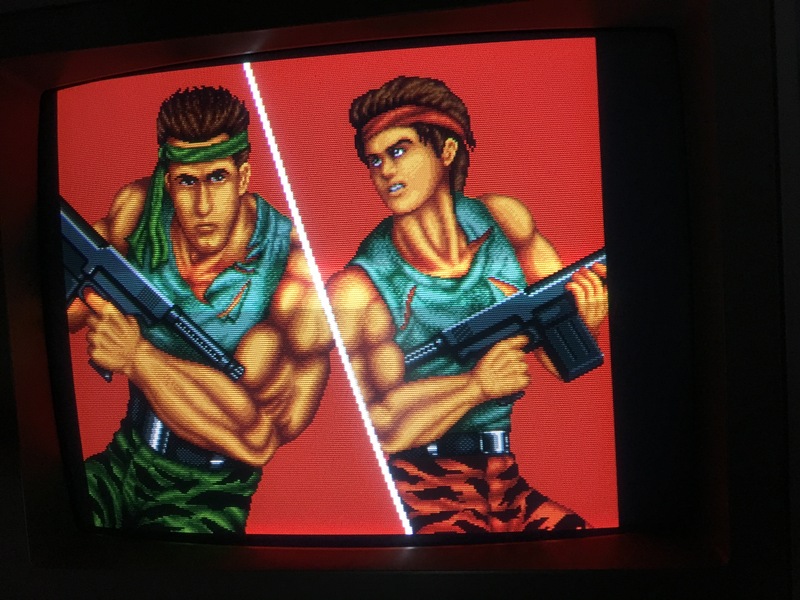 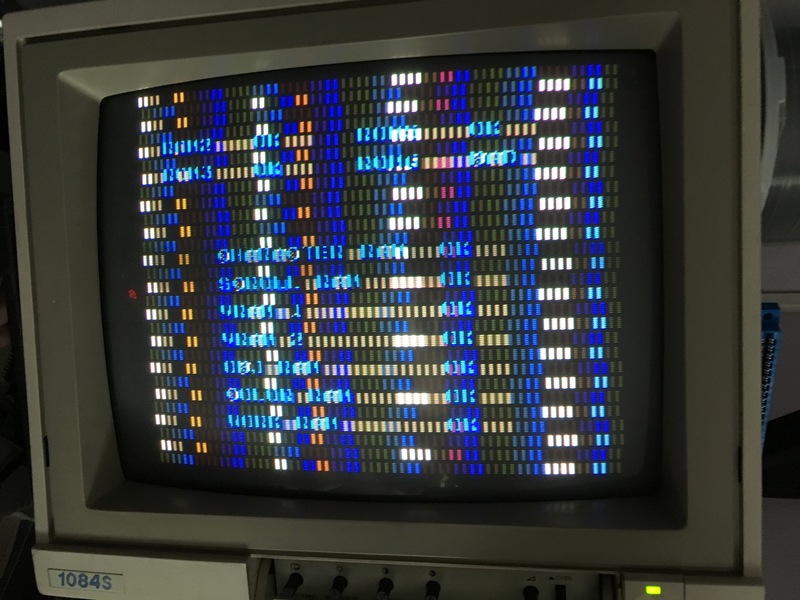 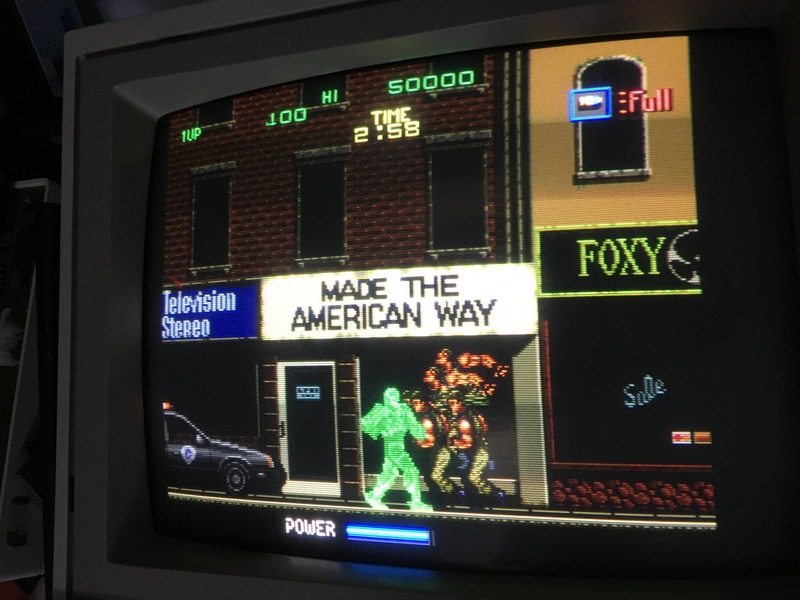 So now I tested the ROM board with it’s original CPU board and game booted but the screen was almost completely black apart from some graphical elements like the energy bar. 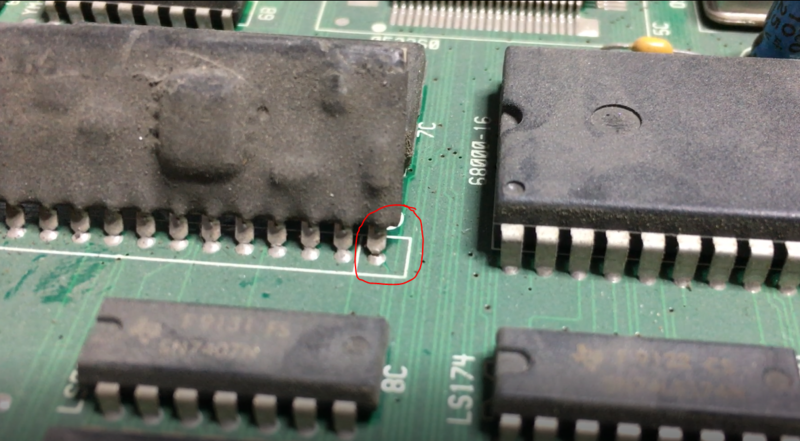 After visually going over the CPU board I found that one of the custom ASIC L7B0072 had a crack in the center of it. 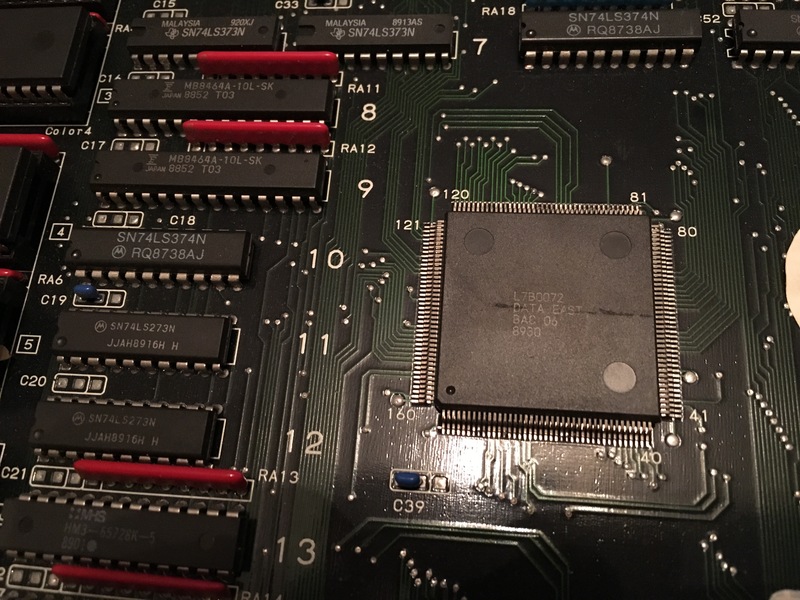 I had a broken Midnight Resistance board (not the previous repair) that had this ASIC, so I opted to transplant it over to the Robocop board. 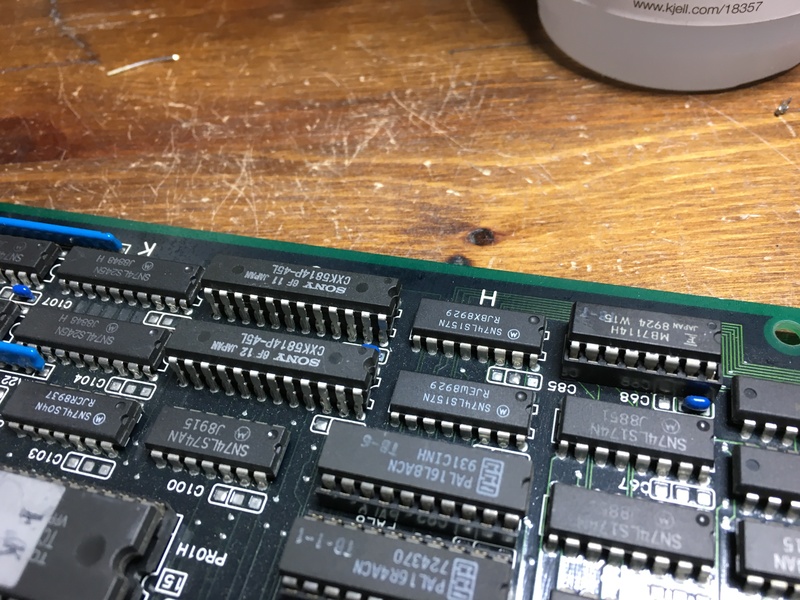 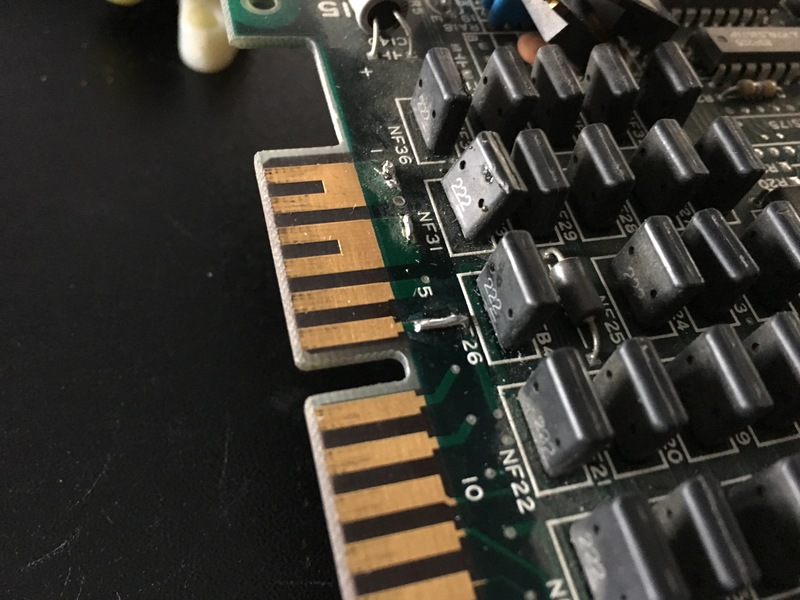 I noticed that the top of the ASIC had a brownish discoloration, but I didn’t know if it was toast or not, so I desoldered it with my hot air station and soldered it onto the Robocop board. 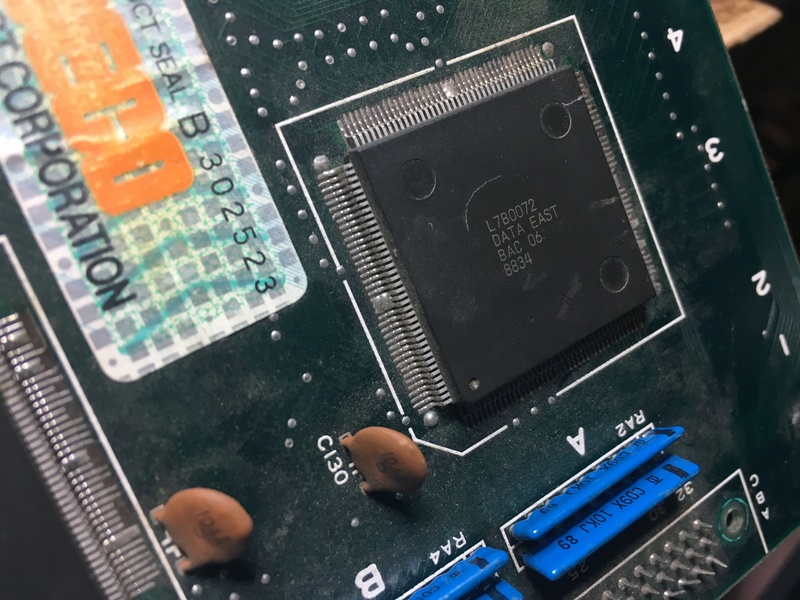 After having a conversation with caius (thanks again for all your advice) we opted to do another transplant but with a better looking ASIC. 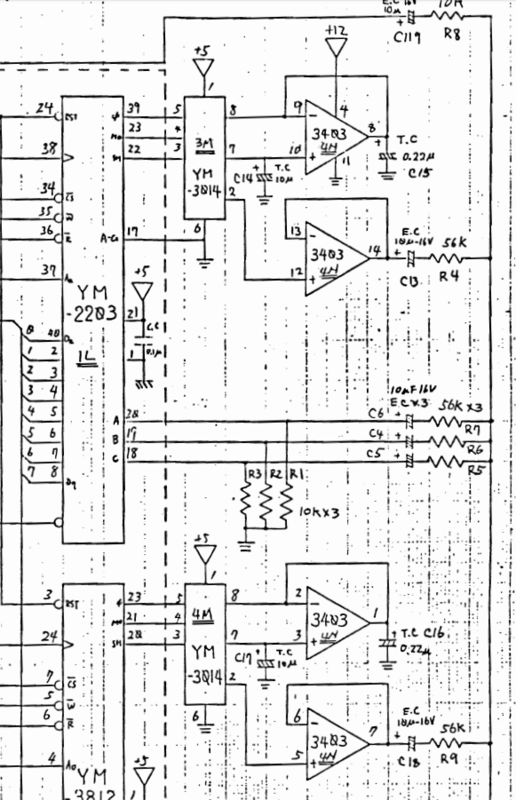 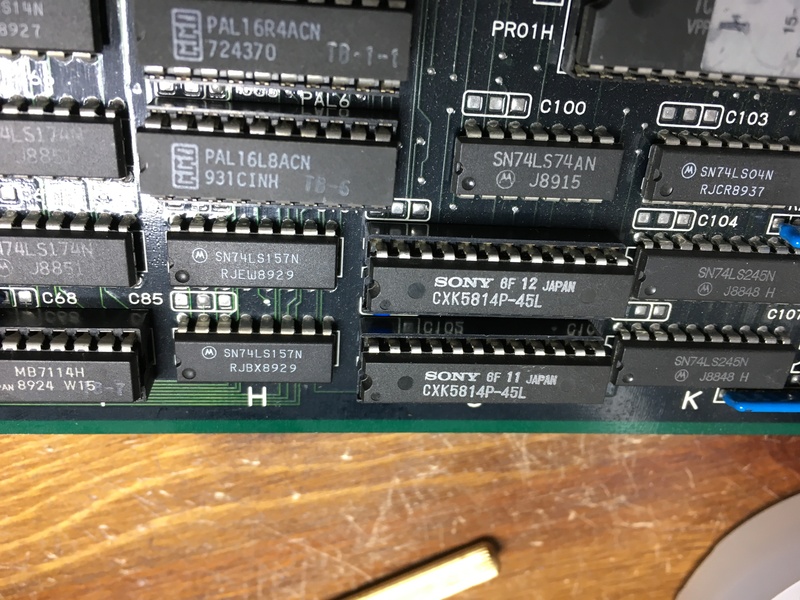 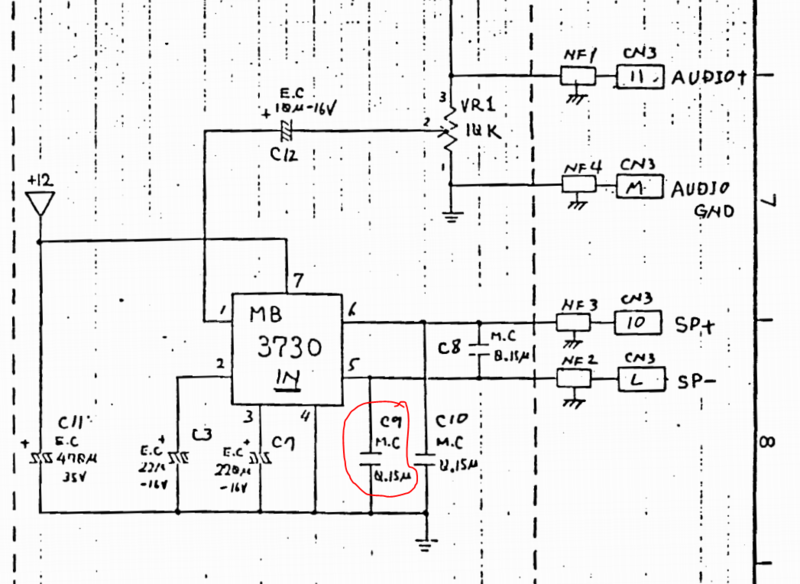 Nothing came out of the 3403, so I eventually found that there were no +12V input on pin 4 of the 3403. 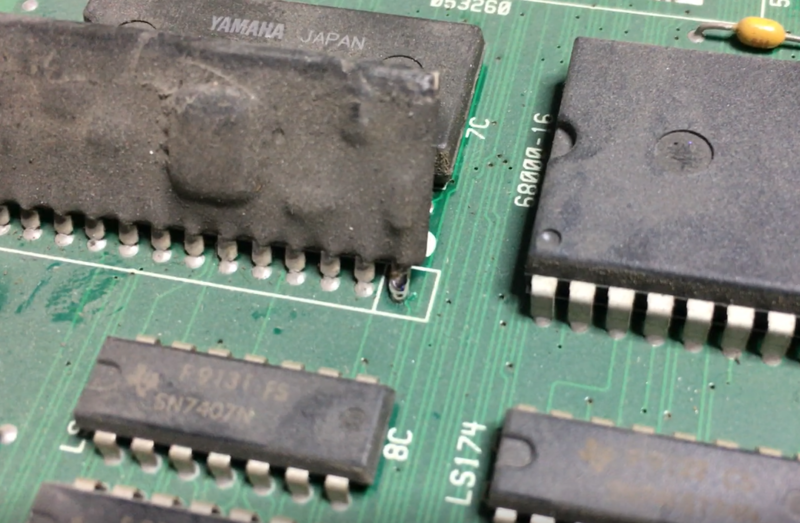 Checked the JAMMA edge and found a broken track. 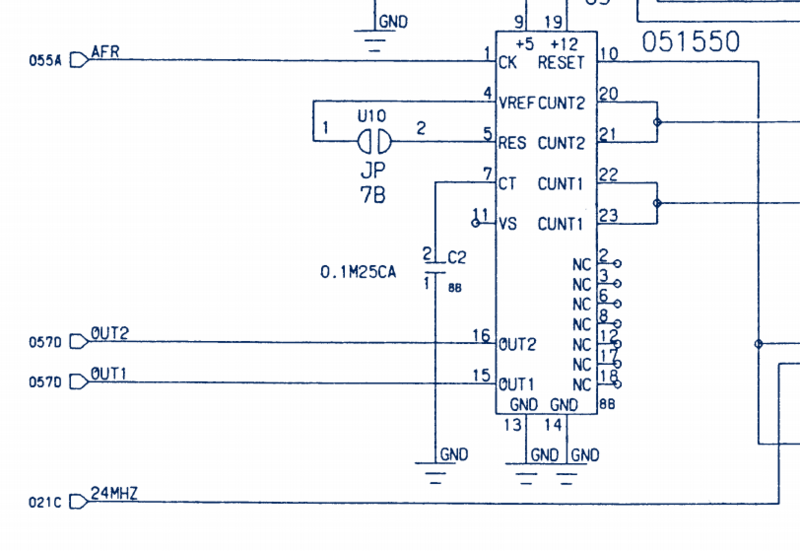 I guess that the operator had some form of voltage measuring device and somehow broke the track at some point. 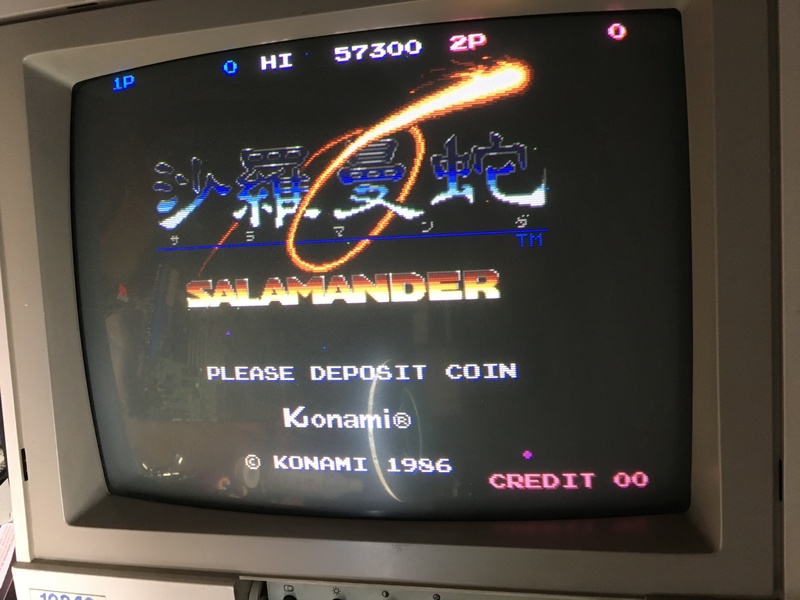 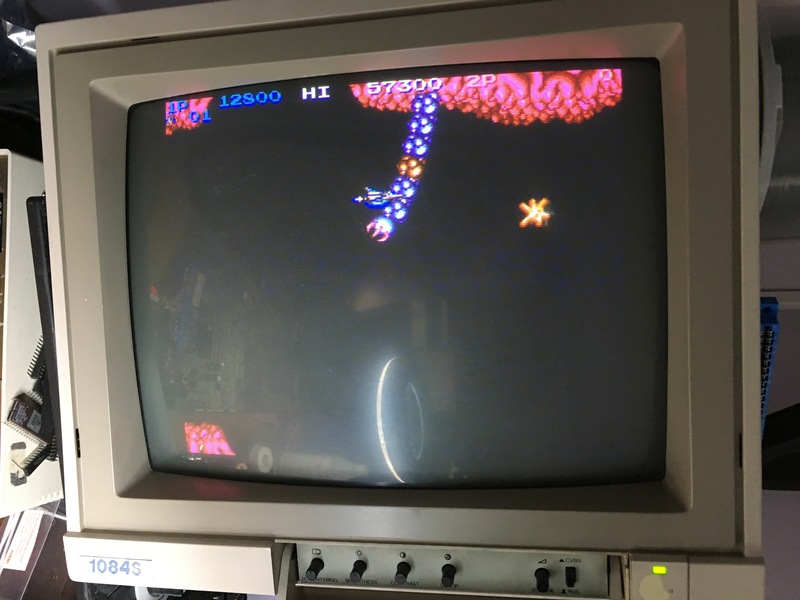 I soldered a little metal wire to bridge the gap and booted the game again. 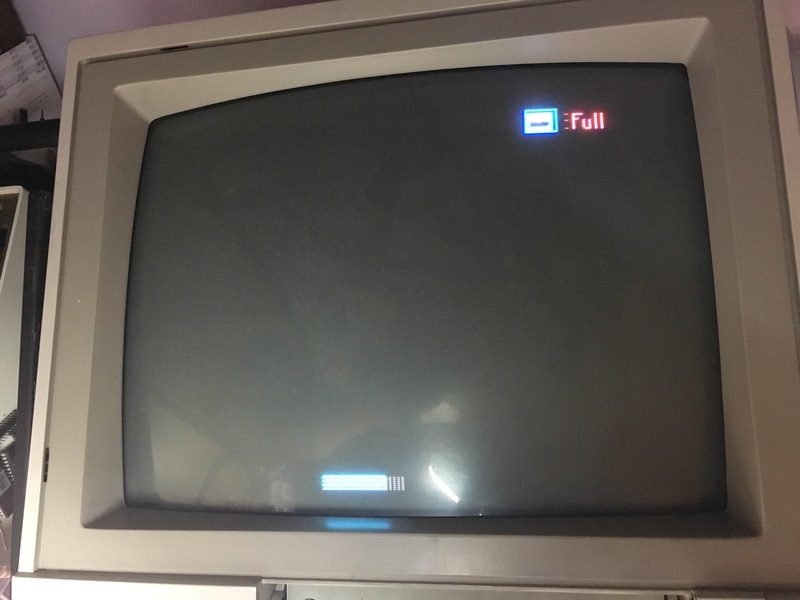 Now audio could be heard for a short second and then silence again. 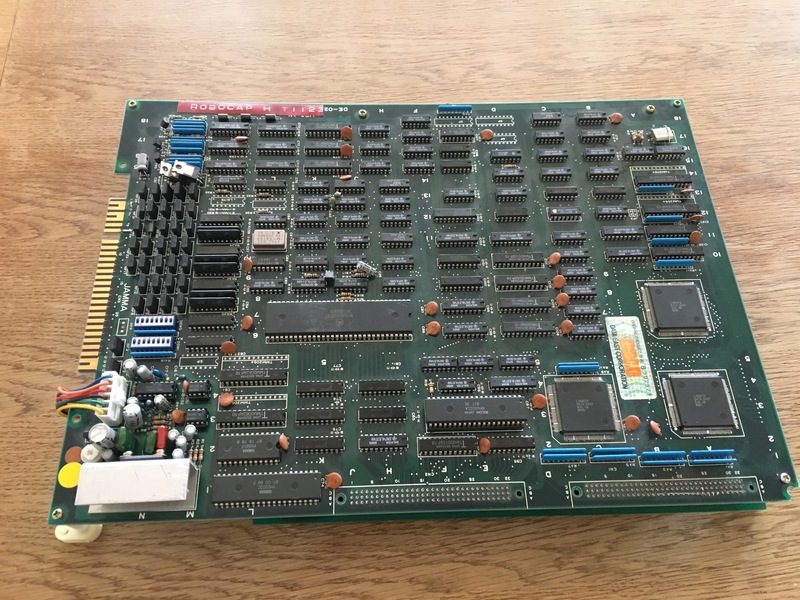 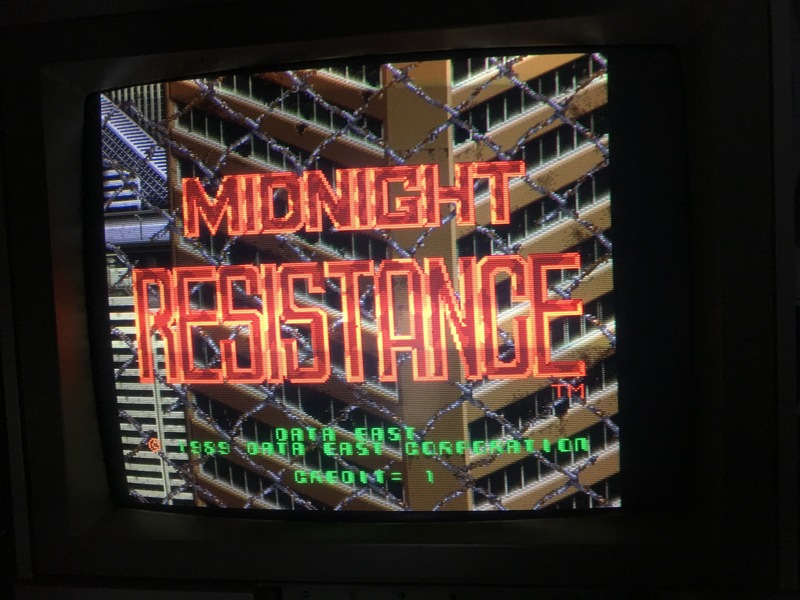 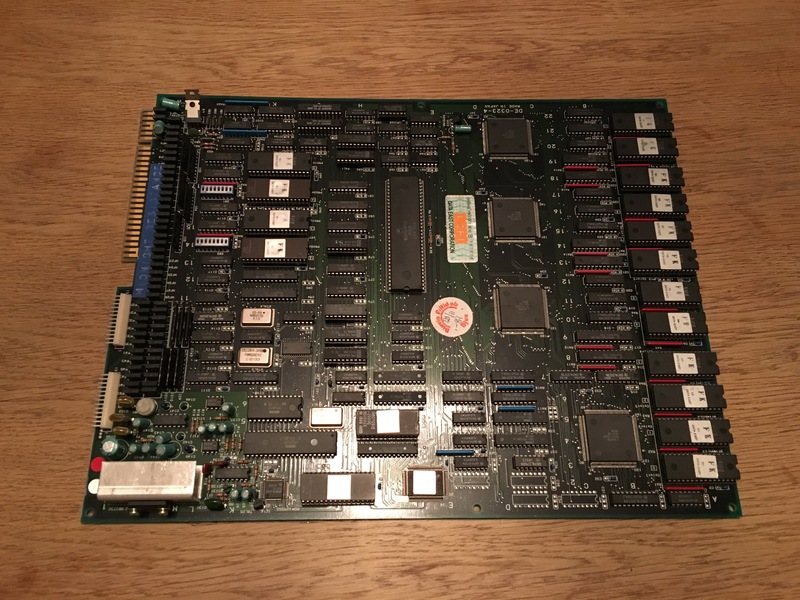 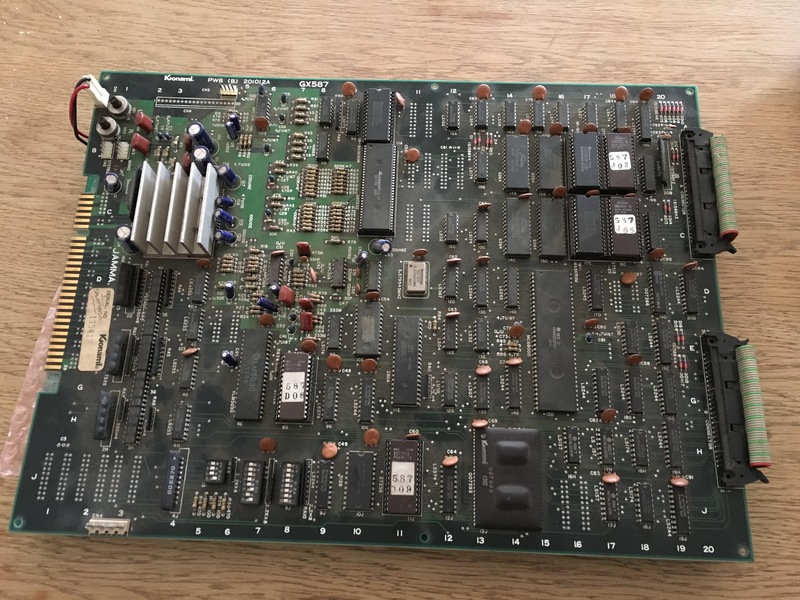 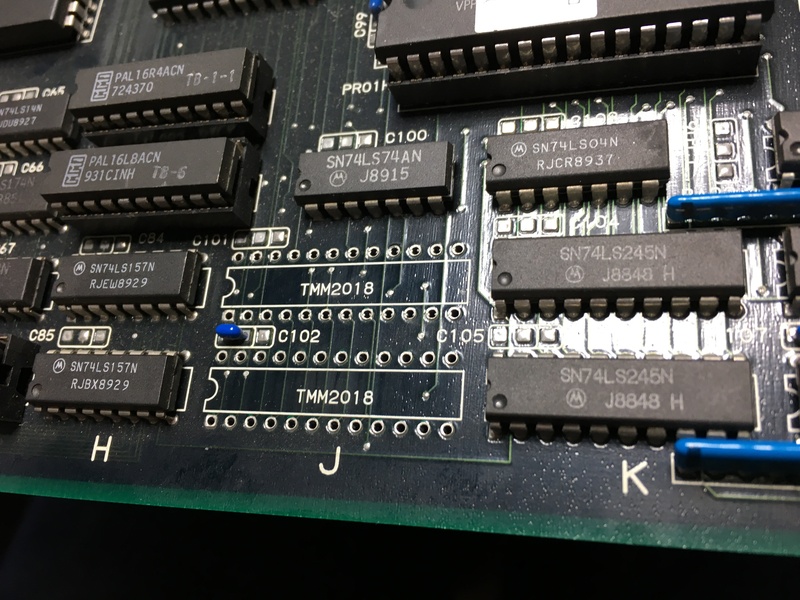 I got this Data East – Midnight Resistance pcb from a friend. 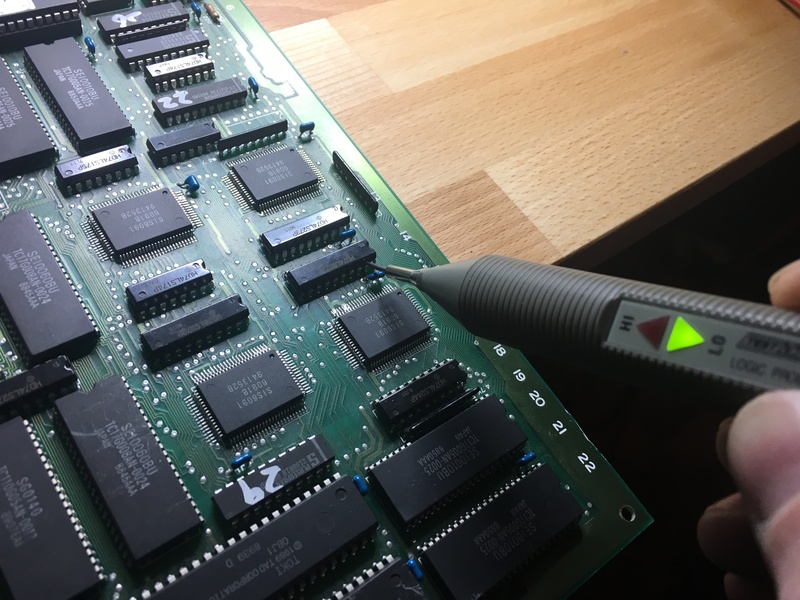 He said that he dropped a ground wire onto the pcb by mistake and he thought it touched the pins on one of the L7B0072 custom ICs. 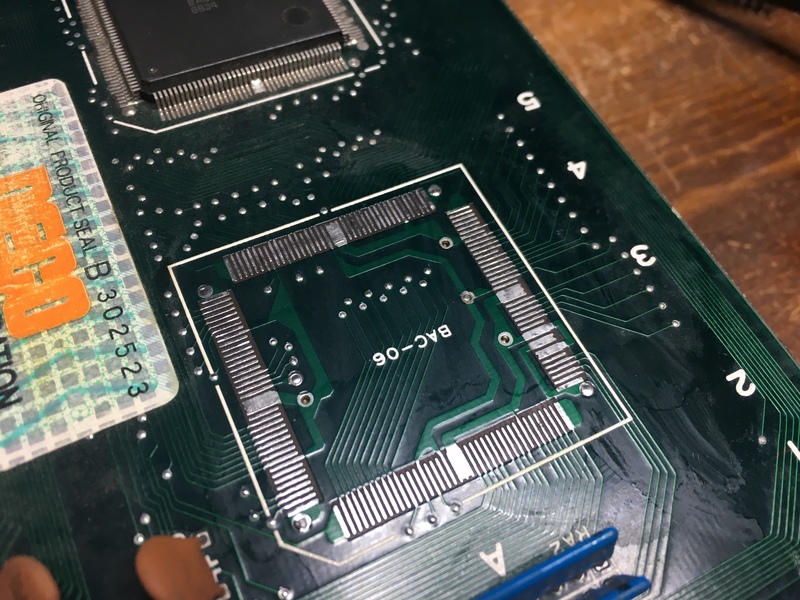 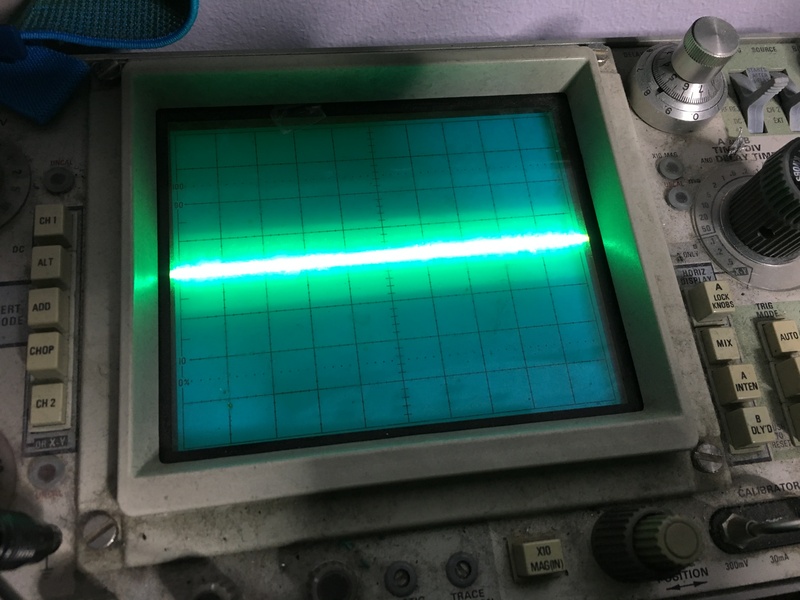 I booted the pcb and the game was running blind. 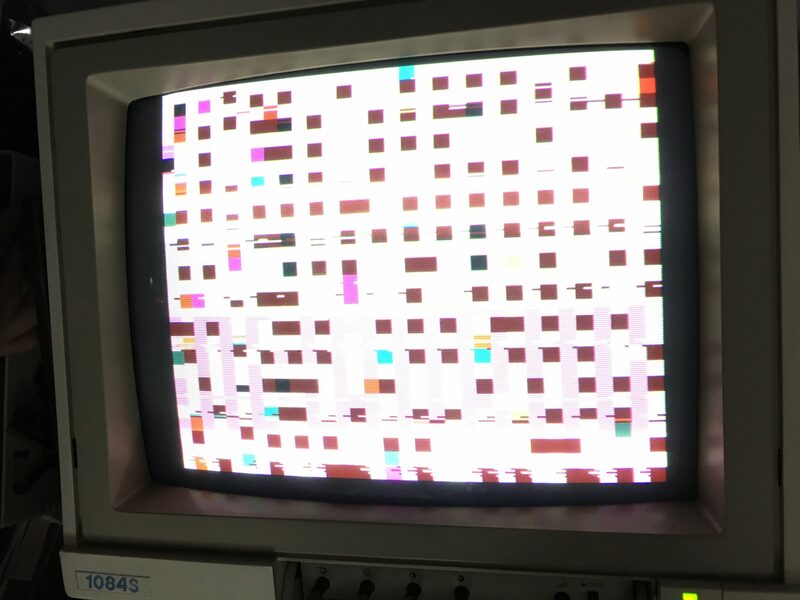 Sounds and inputs was working fine, but a complete black image on the screen.